Where, When, and How Do I Start Packing? We know we make packing look glamourous and exciting. We might make it look easy, but guys – packing is hard work, and takes a lot of strategic thought. If you aren’t a pro packer, and you’re planning on taking the DIY approach, you’ll want all the help you can get. When do I absolutely, positively have to start this? Where oh where do I actually start? After 100 years of moving and packing, we have some insight into the topic. You know how the early bird gets the worm? Well, the early packer gets way less stress and the satisfaction that procrastination didn’t win this time. For the average 3-bedroom home, you could spend 3-4 full days packing. That’s assuming there are no delays and you have all your packing tools. Most people have no idea it’ll take that long – and then the run into problems. The earlier you start packing, the better it will be. You can actually start months before if you want. Of course, sometimes you have no other choice but to pack right before you move. We do have some tips for that. Like we said, you should start in the areas you aren’t actively using. This will minimize the disruption to your day to day routine. If you take anything away from this article, let it be this: don’t leave your kitchen to the last minute. Kitchens take the longest to pack, mostly due to all the breakables and appliances that need to be properly protected. Leave it to the end, and suddenly it’s 11 PM the night before the truck arrives. You’re still wrapping plates with Netflix running on your computer asking if you want to watch another episode, knowing you still have a cupboard of glasses and the pots and pans to go. Now that you have a good idea of the when and where, you need the how-tos. Make a zone and claim it as your own. Having all of your packing materials spread all over the house is going to waste your time, and make it super frustrating when you really need the tape. Whenever, wherever, and whatever you’re packing, have a space where you can grab what you need and not have to go searching. Your packing zone can move as you move between rooms. Claim a corner, a counter, or even a whole empty room. Just make sure your zone is well-stocked with packing supplies like tape, markers, and boxes. This isn’t Deal or No Deal. You want to know what’s in each and every box. Get a batch of markers – good ones – and label every box on both sides with the following information. Trust us: you are going to be so happy you did this on moving/unpacking day. Before you can label your boxes, you need to get some. You might be tempted to scour the neighbourhood for cheap – or free – cardboard boxes. But those flimsy cartons will collapse on you, and your belongings. Invest in boxes that are actually designed for residential moving. They’re basically custom made to handle anything homeowner can put in them. We sell moving boxes and deliver them right to you. And we make sure that these boxes are sturdy, reliable, and recyclable. You can give them to a friend, or we’ll pick them up and recycle them for you. If you don’t need it, there’s really no sense in packing it. So take a good, hard look at all your belongings. Decide whether you’ll keep it, donate it, or toss it. It’s incredibly easy to find an old toy or photo album and get lost down Memory Lane. We’ve been there – and that’s why we know you shouldn’t. Taking the time to reminisce over every item you own is going to eat up your time. You’ll be begging for that time when you’re stucking scrambling to finish packing the night before you move. We recommend saving it for when you’re unpacking – and you’ve got time on your side. Everyone needs a moving day survival kit. You know, the things you need to have easy access to, and feel like a put-together human being. This includes your toothbrush, toiletries, changes of clothes… toilet paper. Next, pick a box, suitcase, or other receptacle that will serve as your survival kit. Make sure it’s clearly labelled and NOT packed in the truck with the rest of your belongings. This should stick with you. Really, anything you think you’ll need to put together bed frames, reassemble chairs, or just get your house in order. Again: pack it, label it, and keep it somewhere you can easily reach it. At some point, you’re going to have to go on a bit of packing spree. We’re talking at least a few days of efficient packing. This is going to cover all the stuff you’re using right up until the last few days. Our advice? Go room by room, and pack as much as you can. And check everywhere for things you may have left behind. The backs of closets, under bed frames, in the cabinet above the fridge you never open. Absolutely everywhere. What About Tips to Make Packing Easier? You didn’t think that was the end of our wisdom, did you? The team being your bubble wrap, boxes, packing tape, crushed paper, packing peanuts, scissors, markers – anything you need to make packing a success. Get them early, and organize them in your aforementioned packing zone. It’s tempting to use laundry hampers and trash bags as makeshift moving materials, but it’s really not a good idea. Bags that can easily split, or containers without lids can easily leave you with a huge mess on moving day. And the last thing you need on moving day is to have to stop and… re-pack. Your clothes are already half-packed, thanks to your dresser! Go on, take a moment: do the happy dance. For simple moving, take the drawers out and use protective wrap. This way one person can easily move them. Packing is an art. There’s a process, and a proper order. Heavy stuff on the bottom, light items on top. It’s exactly like bagging your groceries. You don’t want to crush your light items, and the heavy items will help hold the boxes rightside up. The last thing you want to do on moving day is hurt yourself. Or hurt your friend who graciously volunteered to help. Each box should weigh no more than 50 lbs. This is a safety issue, one we take very seriously. If you have extremely heavy items, they should be packed alone and in small boxes to limit the weight. If anything looks like it’s going to be too heavy to lift on your own, ask for help. Newsprint is great for wrapping around your breakables. It adds an extra barrier, and when coupled with the right packing materials, it’s super handy. When you get your newsprint, make sure it’s easily accessible in your packing zone. Every homeowner has some really small items you’d lose if they weren’t kept in another larger container. I.e. pencils, paper clips, or screws. If you have teeny-tiny items to bring with you, group them together and put them in small sealable bags first. By pre-packing them, they’ll be easy to find when you’re unpacking. Never been good at Tetris? Don’t worry: there’s no time limit in this particular game. When you’re packing, you should leave no spaces in your boxes. Space gives your possessions more room to rattle around and potentially break. Space also increases the risk of crushing. Make use of every available nook and cranny by using packing materials or soft objects like your clothes to fill spaces between bigger, more rigid items. These should be sealed with tape, placed in plastic bag, then packed into a box clearly labelled. Remember to indicate which side is up. If you’re taking your curtain rods, or you have rakes, brooms, and long-handled dusters, these should be bundled together with tape. Together, lamps and lamp shades are awkward to pack, and pretty fragile. Separately? Still fragile (so make a note) but much easier to work with. First, remove the light bulb. Then, remove the shade and the metal ‘U’ that holds up the lampshade. The base of the lamp should be wrapped in paper and place upright in a box, surrounded by crushed paper. Do the same thing with the metal ‘U’. The lamp shade should be carefully wrapped and placed upright in its own box. If you have multiple shades, they can be nested inside each other. Dishes and glasses are in a league of their own in the packing world. They need their own specialized boxes (we’ve got them). A layer of crushed paper should be in the bottom of the box, between each layer in the box and at the top of the box. Mattress bags are the super cool packing product you didn’t know existed. But now that you do, we’re guessing you really want one. Because if you’ve ever moved before, you know how much of a pain it is to move a mattress and keep it clean. You were actually being really smart when you forgot to toss the boxes your electronics came in. These boxes were custom made for your device, and that makes it super easy to pack and move them. We’re one of the moving companies that will pack for you. We offer customizable moving quotes that take into account what you want. We could simply help you move, we could help you pack, or we could help with it all. The choice is up to you. Whenever you’re ready to get packing, talk to us about the moving. 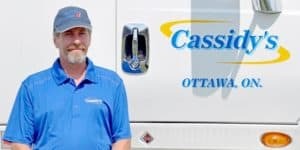 We’ll give you a free, no-obligation quote based on our knowledge and experience. Short on time? 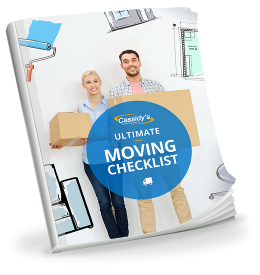 Need to know how to pack to move in a hurry? These tips will get you organized so you can get it done fast - even in one day! 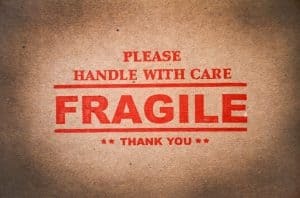 Learn what the most commonly damaged items during moving are, and how to give them the right protection so that they arrive safely at your new home.